You know that the "What, me worry?" mascot of Mad Magazine is named Alfred E. Neuman. But here are some much earlier incarnations. Our favorite, of course, is "G. Daddleskink." 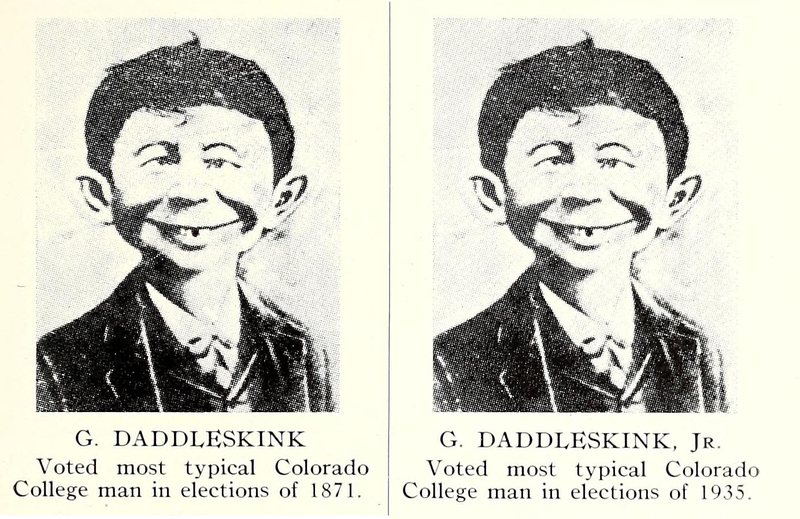 From Colorado College's 1928 yearbook.